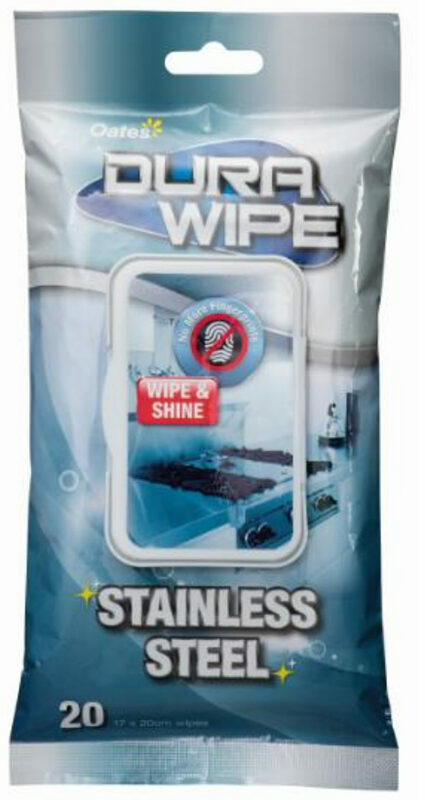 Stainless Steel Wipes. $5.85 per pack of 20. Easy resealable lid that simply clicks open and shut to keep wipes fresh. They remove finger prints, smears and water spots, leaving behind a transparent film resistant to new marks. Suitable for all household stainless steel appliances and surfaces, including fridges, ovens, microwaves, range hoods and many more. Each wipe will clean up to 2 meters of stainless steel.